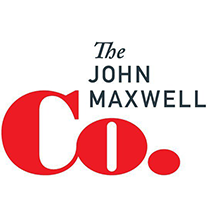 John Maxwell shares why leaders need to have a great inner circle and how it can benefit them. When flying coach class, it’s no fun being stuck for several hours behind a passenger carrying a yelping puppy or beside a family with crying, colicky twin babies. Nor do you want to end up next to someone who frequently heaves into the airsickness bag or who smells like they haven’t showered in several weeks. In short, the quality and enjoyability of your flight depends a great deal on the people seated around you. In a similar manner, the enjoyability and success of your leadership journey depends on the quality of the people closest to you. That’s the Law of the Inner Circle. Neither your talent nor your passion can take you to where your potential is. Your ability to perform at your best is conditioned upon having amazing people at your side. In truth, no one can achieve greatness while flying solo; leaders only accomplish big things by inviting others to join them in pursuit of a vision. If they’re honest, even the most creative leaders will acknowledge that most of their best thinking has been done by others. Typically, a leader’s ideas start out small, but then others on the team take hold of them and stretch them to their maximum potential. Isolated leaders never obtain as much influence as those who surround themselves with an inner circle of innovative, intelligent advisors. Few people are aware of their blind spots, and yet our field of vision is always limited by our particular background and experiences. Moreover, we tend to justify our own behavior by our intentions, while we judge others by their actions. Whether from narrowness or self-interest, then, we’re bound to miss important clues or to overlook key evidence. Not only do all leaders have blind spots, but many people can be hurt because of them. As a leader’s influence and responsibility grows, so does the number of people affected by their decisions. Thus, when a leader makes a poor choice due to lack of vision, the consequences are widespread. A competent and diverse inner circle provides a number of perspectives, generates a multiplicity of ideas, and serves as a storehouse of wisdom and experience. A secure leader makes a point to surround herself with people of differing opinions and often makes course adjustments on account of their input. In any organization, people do what people see. As a leader, your visibility is limited; you can’t be everywhere all at once. You need a reliable inner circle that can be counted on to set an example of servanthood, commitment, and excellence in their relationships. First and foremost, the members of your inner circle must have trustworthy character. Also, they should have tremendous influence with others as a result of both excellent people skills and evident abilities. In addition, they should have a proven track record. The inner circle isn’t the place for a promising rookie; it should be reserved for veterans with a history of productivity. Finally, the members of your inner circle ought to have gifts that compliment yours. You should be able to lean on them in areas where you are weak. As President George Washington advised, “Associate with men of good quality if you esteem your own reputation; for it is better to be alone than in bad company.” Perhaps the best career decision you will ever make is to give more attention, time, and energy to developing your inner circle. What steps can you take to surround yourself with a stellar team of leaders?